The Duo™ Collection of innovative kitchenware has been created by Joseph Joseph for a whole new market, with products carefully designed to appeal to a broad range of consumers. 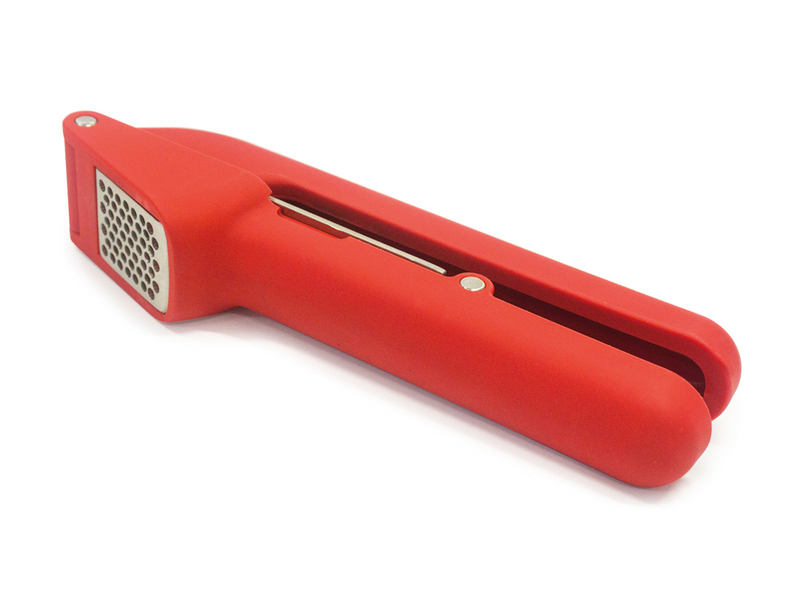 Available in a bold red colour, this Duo™ garlic press features a textured crushing head that grips cloves for an easy-squeeze design. Complete with a removable stainless-steel crushing plate for easy cleaning, this item is dishwasher safe.